The organisation operates as a resource centre that supports a large and growing community of connected partners and external service providers. We work in ways that inculcate the principles of equality and respect for all. Our training is experiential and designed to empower all stakeholders, no matter what their background, to become their own trainers and take responsibility for their own development, within a structure that provides broad long-term support. This growing community is supported by a low-overhead, highly effective, internet-based communication and administration structure offering the seamless communication required to share opportunities and responsibility as widely as possible, irrespective of the size or geographic location of our activities. The organisation is led by highly skilled, qualified and experienced individuals who have diverse backgrounds, supported by quality assurance procedures that provide the underpinning toward our SETA Institutional Accreditation. Our financial systems and statements are audited annually by independent chartered accountants and auditors. 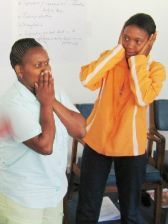 The organisation and its partners facilitate workshops that create safe environments in which people discover and enhance their ability to develop relationship, leadership and conflict resolution skills. The African language and culture training offers opportunities to partner colleagues from different backgrounds within corporations and organisations. In learning from each other, they build strong, respectful and caring relationships that have a powerful influence on employee relations and motivation whilst supporting diversity training objectives. Our community based tourism project encourages tourists to build mutually respectful relationships with local people and experience what it is like to live in their environment. 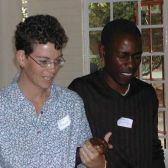 Our advocacy and policy work involves creating supportive relationships with everyone we meet including those in positions of power. All this work meets our goals of enhancing development, entrepreneurship and working opportunities. We currently train thousand participants every year in a prpcess that has created more than 30 experienced team leaders, 200 facilitators, 50 language and tourism helpers and a related number of urban and rural home-stay hosts. These are based primarily in Gauteng, Kwa-Zulu Natal and the Western Cape. Strategic plans anticipate the continuation of a significant rate of growth both nationally and internationally.